Hillary Clinton would be an "excellent president," U.S. President Barack Obama said on Saturday, one day before his former secretary of state is expected to announce her campaign for the White House in 2016. "She was a formidable candidate in 2008, she was a great supporter of mine in the general election, she was an outstanding secretary of state, she is my friend. 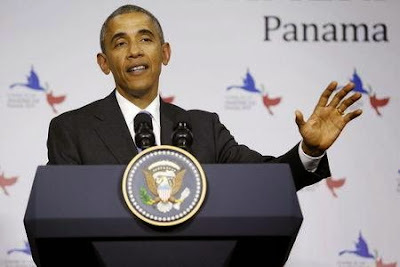 I think she would be an excellent president," Obama said during a news conference at the Americas summit in Panama City. Obama said when Clinton makes her bid public, he expects "she will be very clear about her vision for the country moving forward." Obama offered a strong endorsement of her abilities and lauded her foreign policy as the top U.S. diplomat during his first term in office.